Graduated in Economics (Bocconi University), since 1989 Francesco focused his career on the development of trading systems and on the application of technical and algorythmic analysis to asset management and asset allocation, as fund manager and chief of relevant european financial organizations. He published books and articles for financial media and created many technical models and indicators, as the Composite Momentum®. Francesco is a profound student of cycles and a two times winner of the international award Leonardo d’Oro della Ricerca Finanziaria® in the technical analysis division (1997 and 1998). In 2008 he became the first MFTA (Master of Financial and technical Analysis) in the italian history and was awarded by IFTA with the John Brooks Award® for the best MFTA paper. The paper, “Technical Tools and Equity Selection: a Reward/Risk Rating Indicator for the Stock Market Components”, was also published in the official 2010 IFTA Journal. 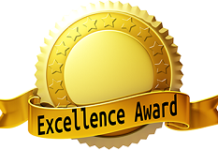 In 2011 Francesco entered for the firs time in the newly organized SIAT Award contest and won it and again in 2015. With thirty years of top experience in all the fields of financial markets, from technical and quantitative analysis to trading, asset allocation and asset management – Strategist, chief of financial area, member of the board of directors, CEO and consultant for primary financial groups (UBIBANCA, BANCA DEL SEMPIONE, ARCA GROUP, RCF, MELIOBANCA, BANCA INTERMOBILIARE, BANQUE MORVAL etc.) 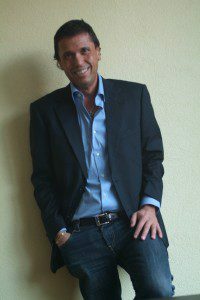 – he is now a prominent financial blogger and author of technical books and specialized articles, founder and owner of Market Risk Management, italian leader in independent advisory; he is also advisor for banks and funds and is Associate Professor at the Cassino University in the Executive Master in “Quantitative and Technical Analysis of the Financial Markets”. He is Vice President of SIAT, the Italian Technical Analysis Society and President of the Scientific Committee of the Association. Francesco held many courses and conferences on technical analysis and markets and has already been an official speaker at IFTA 1998 (Rome) and IFTA 2006 (Lugano) and SIAT ambassador in IFTA Annual Congress 2007. In 2016, he spoke in Sydney’s IFTA Conference about the mechanics of trend following and an absolute return model, In 2017, in Milan, he is in charge of the organization committee and will hold a speech about his famous indicator, Composite Momentum, recently introduced in the Bloomberg’s official technical indicators list, side by side with RSI, MACD and other famous technical indicators.